Or stop by anytime to stitch or spin! SOCK-tober is here!!! If you couldn't guess, our focus this month is SOCKS- the holy grail of hand-knitted prowess, and the reason may people start knitting. First, we are offering 20% off ALL in-stock sock yarn, all month long! Got a Three Irish Girls yarn you've been eyeing? 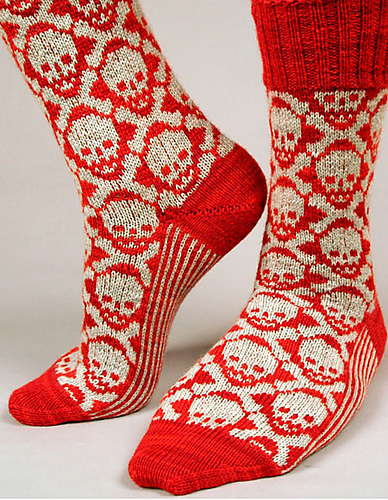 What about that Malabrigo sock? Can't get enough of Huasco? Now is the time to sock-up! How can you get involved in SOCK-tober? An easy way is to take our Sock-tober challenge! We challenge you, experienced knitters and new knitters alike, to start and finish a pair of socks in the month of Sock-tober. Everyone who completes this challenge will be put in a drawing for THEIR CHOICE of 1 skein of any sock yarn we have in stock! "Impossible" you say? Let us help! 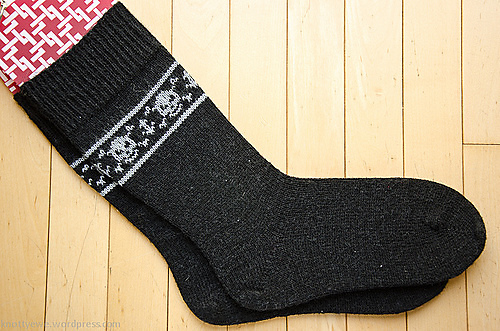 There are 4 full weeks in Sock-tober, with 4 Saturdays. 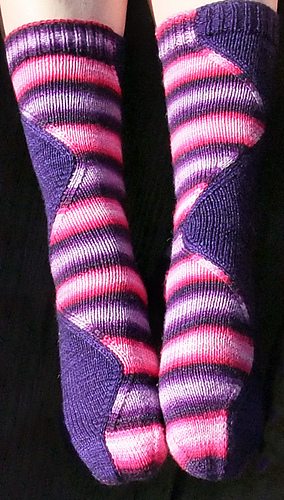 We are going to have month-long SSS: Sock-Support Saturdays, with varying levels of support available. 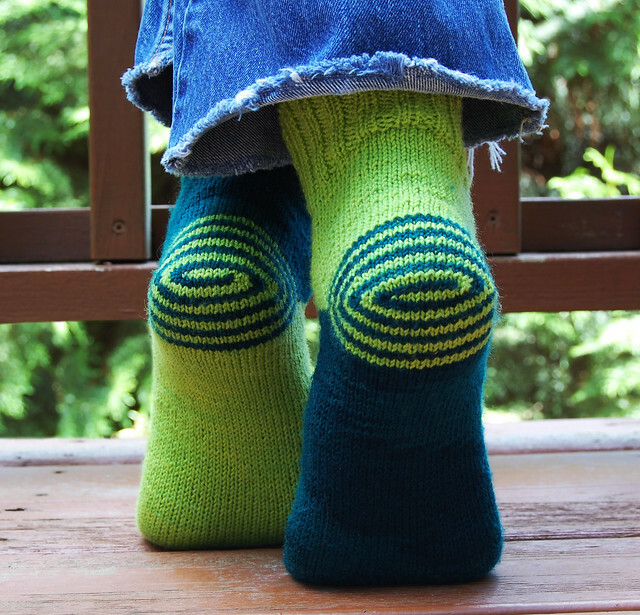 Level 3: Step-by-step teaching each week (Month-long sock class). See class section for full details. We hope you will join us for the fun of Sock-tober! 20% off Cover Price of Mags! 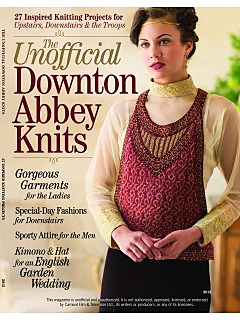 Take a look at knitting through the eyes of Downton Abbey with this new special issue. Enjoy 26 knitting patterns inspired by the lavish sets and styling of the popular TV series, which tells the story of the Grantham clan and their servants at England's Downton Abbey. Projects include knitted lace cardigans, socks, knitting for the troops and more! Upstairs: Indulge in luxury with these patterns fit for any aristocrat. Beautiful lace detailing, beaded embellishments, and classic colorwork mark these elegant garments and accessories. From airy shawls and blouses, to warm coats and gloves, you will feel like royalty with these knits. Downstairs: These patterns reflect the more reserved of Downton Abbey. While the details are more subtle, they are just as engaging as the Upstairs patterns. From cable work to eyelet lace, the vests, hats, blouses, and jackets found in this section are casual yet sophisticated. Enchanted Knits will charm every knitter with 27 magical projects fit for a fairy tale! Stop in the store to receive 20% off this special issue today. Check out "Maleficient's Cloak", "Hunger for Rampion Pullover" and the "Honest Woodsman Pullover"
Care of Magical Creatures- Woolen socks and a colorwork hat and to keep you warm; mitts and socks that keep the damp at bay; a sweater of gigantic proportions; a scarf that hints at the wild of the woods; and a hair bow that is the perfect accessory for any ambitious bureaucrat. Transfiguration- You'll want a hooded cloak and laced mitts whimsical socks will help you tread lightly; make a tower of hats for the hardworking elves in your life; try resisting knitting the mermaid's shawl. Charms- don an owl cardigan with keen eyes to watch your back; Pull on your mitts, try a becoming cardigan. 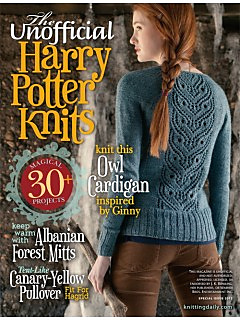 Defense Against the Dark Arts- Make a colorwork vest; knit an intricate cablework sweater;a pair of warm socks, an elegant wrapper, and a lacy cloak will keep off the chill. 98 yards of 100% Super Bulky wool. New by Plymouth. Check out the Essex Button Headband pattern. 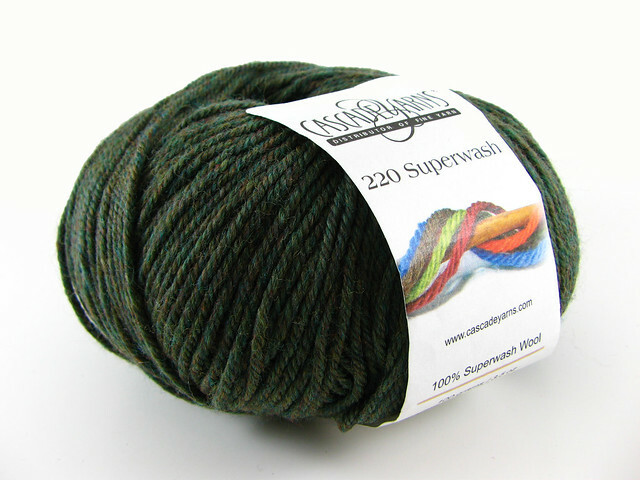 Cascade 220 Superwash is here! Cascade 220 superwash is 100% Peruvian highland wool. 100g, 220yds. 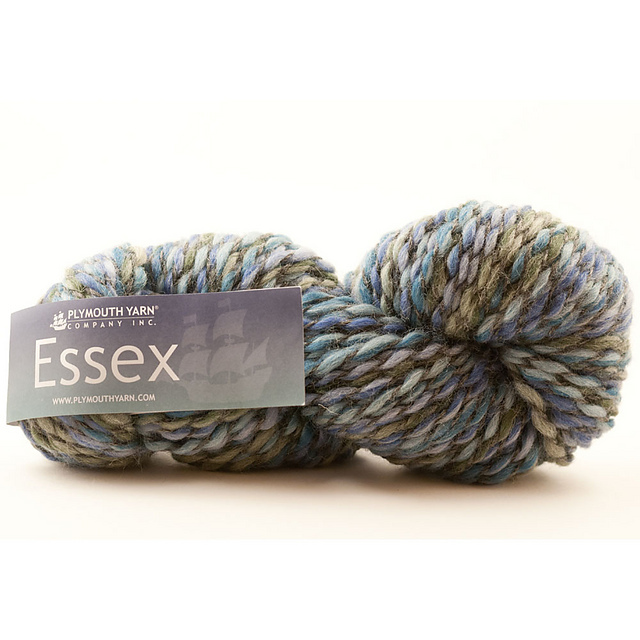 This lovely wool yarn is MACHINE washable and dryable! Ready to knit from the ball. The Fine Print: All classes must be paid in full at time of registration. If you give us at least 7 days notice of cancellation, we can give you a full refund. With at least 24 hours notice, you can transfer your registration to a different class. Less than 24 hours notice for cancellation will result in forfeit of your fee (we still have to pay our instructors for showing up). Unless noted, materials are not provided in the cost of the class. You will receive 10% off all supplies purchased on the day of class. 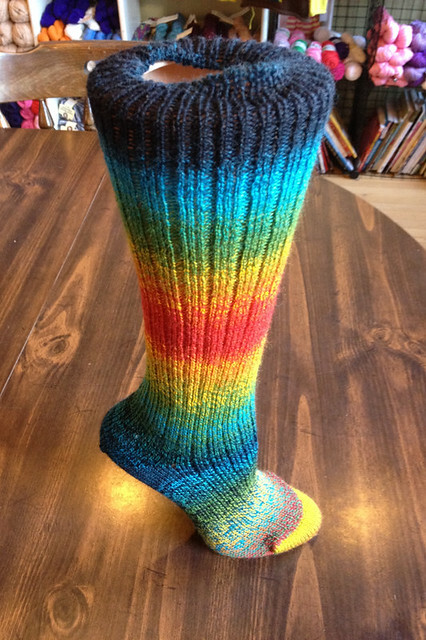 Using a crock-pot and food-safe dyes, learn how to dye sock yarn! Participants need to bring the following supplies: Rubber gloves (like dishwashing gloves), apron (or wear old clothing), one large Ziploc bag. Got an extra crock pot? Bring it along! All other materials provided including one skein of merino/nylon sock yarn, tools, dyes and chemicals needed to dye your yarn. Materials: Yarn and Dye provided. Please bring rubber gloves (like dishwashing gloves), an apron (or wear old clothing), and one large Ziploc bag to take your wet yarn home in. 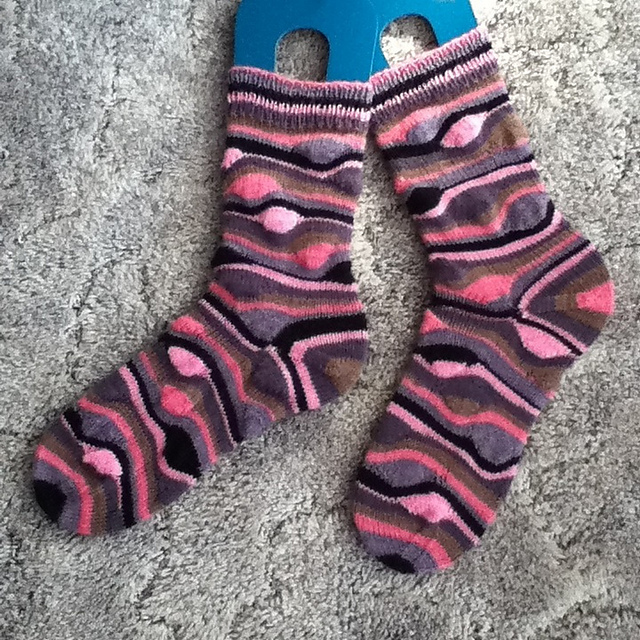 This sock can be completed as a single sock, or for an additional challenge, do the cast on twice and knit two at a time. 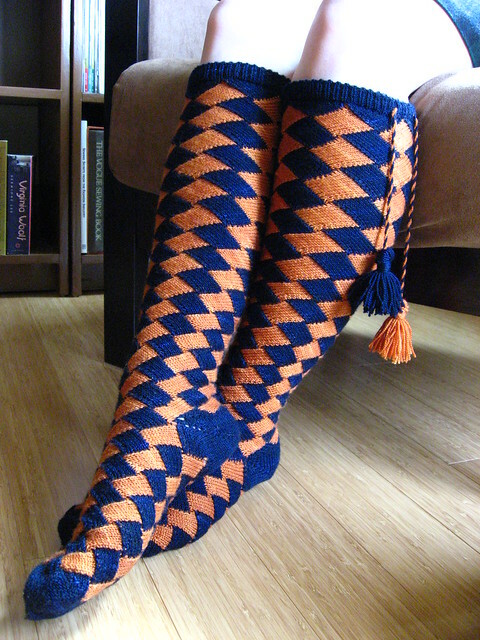 In order to complete an entire sock during the month, we will do it in steps. There are 5 parts to a sock, and we will get through them all! We will break this into 3 parts, and do 1 part each class, with homework in between. Week 1: Oct 4, Cast-on and Toes! Week 2: Oct 11, the Heel! Week 3: Oct 25, Cuff and Cast-off! 100gm of Sock yarn and sock size needles. You may choose 2 circulars, DPN's, or magic loop method. Please bring yarn and needles, or buy your supplies here and receive 10% off! This is held EVERY Saturday from 9-10am. Each hour long session is $10. Learn everything you need to know to get started on your first project! 2 hour les son, on your wheel or ours! 4oz of spinning fiber provided. Lessons are by appointment. Two, 2 hour lessons, on your loom or ours! Pick out your yarn and project, learn how to warp your loom, and start your first project. Then, take your work home to complete the weaving, and come back for your second lesson to learn how to end the project and finishing techniques. $50 total for the two lessons, $20 to rent the loom. Thank you for supporting your LYS- Local Yarn Store! We appreciate your support!